Safe, nonviolent school environments are essential to learning. Schools and communities can address school violence prevention by forming strong, district wide partnerships that work together to assess school and community needs and build community commitment to addressing violence. Working collaboratively with community partners, Safe Schools/Healthy Students sites have decreased violent behavior among students and promoted safe, nonviolent environments in which students are most likely to succeed.This Snapshot explores how communities implemented violence prevention approaches and evidence-based interventions (EBIs) that were appropriate for their schools’ unique violence-related problems and that built on the culture and strengths of their community. These successes, which challenge and reshape norms about youth violence and engage youth as partners in prevention, can serve as models for other school districts and communities. 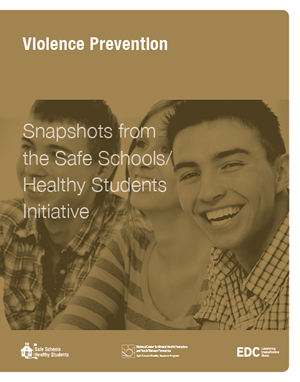 Find out more about other communities reduced violence in their schools.